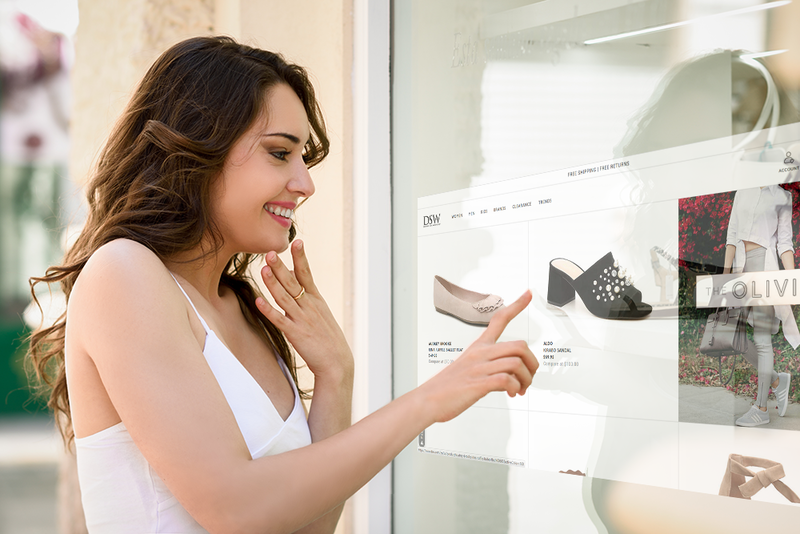 nuGlass™ is a unique projected capacitance touch display system (PCAP) that can be added to any store front glass, with touch features that actually work through the glass! With all of the amazing flexibility of a computer touchscreen and completely customizable content, nuGlass™ is a great way to engage your customers! Interested in learning more about nuGlass? Let us know!